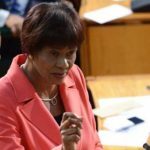 Guyana's main opposition leader, PPP/C General Secretary, Bharrat Jagdeo, has asked the Chief Justice, Roxane George-Wiltshire, to be heard in any ex-parte matter being filed by the government. 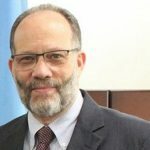 GEORGETOWN, Guyana, December 30, 2018 (CMC) – The coalition government says it will “pursue all available options and act in the best interest of all Guyanese”, even as the main opposition People’s Progressive Party/Civic (PPP/C) said it had written the Chief Justice, Roxane George-Wiltshire, asking to be heard in any ex-parte matter being filed by the government. On Friday, December 21, the PPP/C successfully tabled a motion of no confidence against the David Granger government, paving the way for possible presidential and general elections by March next year. A government statement, issued late last Thursday, said that the Cabinet had received a report, earlier in the day, from the Special Legal Sub-Committee, on the matter with regard to the motion of no confidence. “The Chairman of the Sub-Committee, Attorney General Basil Williams, updated Cabinet on the matter and presented a number of recommendations. Cabinet discussed various options and took certain decisions on the way forward. 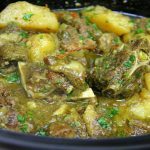 “The coalition government assures its supporters and the public that it will pursue all available options and act in the best interest of all Guyanese. 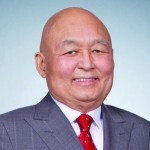 Cabinet will provide subsequent updates, as required,” the statement said. 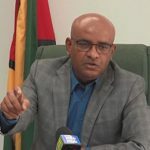 But the main opposition leader, PPP/C General Secretary, Bharrat Jagdeo, who had piloted the motion of no confidence, told reporters that the letter to the Chief Justice had been sent, based on information the party has received, that the government was considering several possible legal challenges to the no-confidence motion. 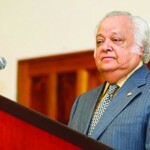 “…we deposited a letter in the Chief Justice’s office, to say any attempt to seek ex parte arrangements to stay the no-confidence motion, we want to be heard on it, but we believe that the judiciary must not engage in any action that could violate, what is so explicit in our Constitution, and it’s explicit that the government must resign or else we’ll have a judicial coup reversing what took place in parliament,” Jagdeo said. “What legal options? You have failed on a no-confidence motion, you have to resign. 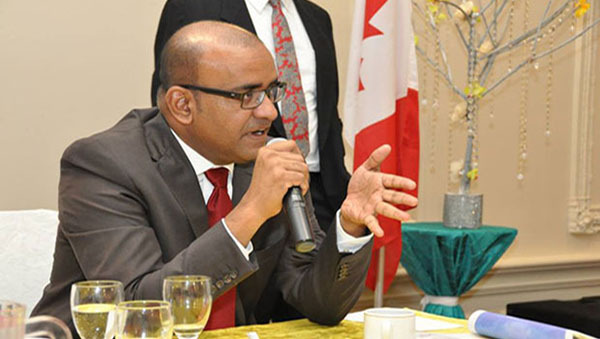 There are no legal options to explore,” Jagdeo told reporters, shortly after a PPP/C Executive Committee meeting, on Thursday. 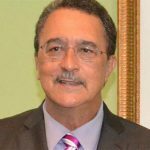 The opposition leader said the PPP/C understands that the government is exploring six options to challenge the constitutionality of the no-confidence motion. 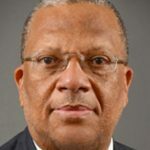 The PPP/C was able to succeed in its motion, after government backbencher, Charrandass Persaud, sided with it, after claiming that he wanted to clear his conscience. The coalition government had a slender one-seat majority in the 65-member Parliament. Meanwhile, the Private Sector Commission (PSC) has welcomed the decision of the political parties, here, to accept the vote on the no-confidence motion. “The Private Sector Commission pledges to work with all political parties, members of civil society and all stakeholders to seek a peaceful lead-up to National and Regional elections in accordance with the Constitution of Guyana,” the PSC said. The umbrella private sector group added it was also “heartened by the principled positions taken by the President of Guyana, the Prime Minister of Guyana and the Speaker of the National Assembly, regarding the outcome of the vote of no confidence, as well as the subsequent public statement by the Leader of the Opposition on the subject of national unity”, adding that it welcomed the announcement by the Guyana Elections Commission (GECOM) that that it is ready for the elections. The Roman Catholic Church, here, has also praised the “maturity of the utterances of our political leaders, the President, Prime Minister and the Leader of the Opposition in particular, for respecting the outcome of the no confidence motion, and for signalling their intent to engage each other”. The church has called on Guyanese to give hope, and increase the accountability of elected leaders to the people, especially youths. “Our leaders would do well to acknowledge the extent to which the people, our youth particularly, have lost confidence in the broader political process, and to grasp the opportunity, now presented, to reshape Guyana’s future,” Roman Catholic Bishop, Francis Alleyne, said. “Guyana needs, in the immediate period ahead, to instill renewed hope of the people in their nation, increase the accountability of elected leaders to the people, as opposed to the parties, and to promote the reconciliation needed for increased socio-political trust in Guyana. The fruits of such engagements will augur well for our future and national ability to offer a unified face to the world,” he said.